Three journalists were in the bathroom standing at the urinals. The first journalist finished and walked over to the sink to wash his hands. He then proceeded to dry his hands very carefully. He used paper towel and ensured that every single spot of water on his hands was dried. The truth of the matter is that the ‘Candida Lakony’ photo was a fake; a picture taken in Congo by the RPA and planted in The Monitor at a time when relations between Rwanda and Uganda were at its lowest. Rwanda had journalists in The Monitor on the pay of Dr Emmanuel Ndahiro and Patrick Karegeya. Among then was Andrew Mwenda who has since failed to refute the allegations. Others are still in The Monitor. The Candida Lakony photo was a fake, proved even by a British expert. It ended up soiling the reputation of The Monitor more. So in that sense, Mr Oguttu was right in rejecting it and but of course Onyango Obbo called the shots there then as I was told, and they prevailed. The Monitor never recovered from that scandal and Wafula Oguttu knows it. The Candida story was a fabrication by the ‘Monitor’ to soil the Museveni government and UPDF. By the time the Candida story was published, the ‘Monitor’ was under the joint stewardship of Wafula Oguttu and Onyango Obbo. The paper had already taken a very anti government/Museveni position. This posture continues to this day. It was therefore no surprise that the Monitor published the ‘Candida’ story knowing very well that it was faked. But even Wafula may be excused about the Candida story because at the time it was published the two (Wafula and Onyango) where not in talking terms having disagreed over of tribalism. Wafula’s authority in the Monitor at the time was being seriuosly challenged by Onyango! The truth of this conflcit was unearthed following the shutdown and raid on the ‘Monitor’ by the government. – Onyango was accusing Wafula of sticking onto the position of the managing editor of the paper yet the position was supposed rotate between the two of them after every few years. – Onyango also accused Wafula of tribalism and sectarianism by filling the Monitor with fellow Samias from journalists to sweepers! He named some of them e.g. Odoobo Bichachi and others I cannot easily recall. – Wafula on the other hand accused Onyango Obbo together with the late Kevin Aliro Ogen of spearheading what he called a ‘Luo’ conspiracy against him – a Bantu! So at the time the Candida Lakony story was published Onyango Obbo and his team had successfully relegated Wafula to a mere figurehead who was handly consulted on anything. This also happens to be the time that ‘Monitor’ was controlled tightly from Kigali to the extend Kigali could even order what should form the lead headline for the day!! Sometimes the Monitor would delay to go to press to wait for a story from the Rwanda Intelligence! The Candida photo. For those not familiar with this story it was a photo of UPDF soldiers forcefully shaving the pubic hair of a woman in Gulu barracks.The picture appeared in the Monitor edition of 11th May 1999. ‘I was the MD and Editor in Chief of the Daily Monitor. 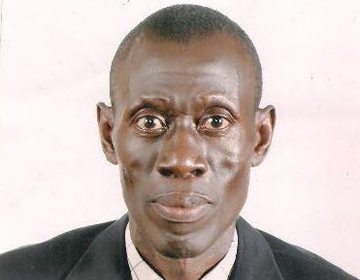 Charles Onyango-Obbo was the Managing Editor effectively in charge of editorial work and my No 2.Odoobo Bichachi was the only other Samia journalist in Monitor out of over 40.The company was well structured and built on sound business principles. But yes, we sometimes differed in opinion which is normal. The founders of Monitor were all highly opinionated journalists who never easily agreed without debates. But we finally always agreed and moved forward. Ask State House and CMI why they took Candida file from my office complete with all the investigation material including many fotos taken in Gulu barracks. We used some of those materials to win the Candida case.Candida lost her case because her lawyers the then Honourables Jacob Olanya and Norbert Mao did a lousy job for her. Yes, out of humanitarian considerations Monitor provided some basic needs items to Candida while she was in Prison. But that was it. We did not know her before we published her foto. She came to us herself after the foto was published. The foto had been brought to us by a UPDF soldier from Gulu barracks. MEMBER OF PARLIAMENT AND UAH. what is best way to nurture democratization ideals in Uganda? Folks:Why did Hon Erias Lukwago and Mr Joseph Balikudembe become so famous in Uganda? Was it not because they feasted on poor legal advise offered by Mr Khiddu Makubuya and Hon Sekandi? That is what Ofwono Opondo-Opondo P’odel was saying in 2009 and i agree with him: no cautious Ugandan can take the legal advice of the two gentlemen as the truth. They have been wrong not once, twice but so many times. Would you go to the Constitutional Court again on the advice of the two gentlemen? The two have made more money for the folks at Kampala Associates, one wonders whether that is what they want here: to cost taxpayer billions defending the obvious. The question in my mind is this: was Hon. Khiddu Makubuya there to enrich the coffers of Kampala Associates at public expense? Mr Ofwono Opondo put it right: the people dispensing legal advice haze zero credibility. The problem would be solved if YKM had a lawyer of some standing as his legal counsel instead of the mediocre fresh graduates from LDC with zero experience, he seems to rely on. DP, UPC and FDC are different ideologically. Some of the parties only want to topple NRMO but then do what? I am brutally honest: I would not support such a combined outfit. No chance in a million period. But what is it Ugandans want? is to to get YKM out? Is it to defeat NRMo? Or to build nurture democracy? If it is the later what is the best way to do it? Is it through a two-party system? Then let the Uganda elite come out opnely and say Ugandan is better off with tow parties. But which parties? Do we go the Nigerian way and outlaw existing political parties and that means all parties, yap NRMO included and start over over? The opposition in Uganda must find their voice. At the moment they look like Republicans with no coherent plan yet. That does not mean they can not come up with one, they can.I prefer politics fought on ideas and grand plans to the politics of kitanda. Let the opposition at least dream. Mr Onyango-Obbo warned young people against Mr. Timothy Kalyegira’s nonsense that has been running in the Monitor. Many of us thought the chap had quit to concentrate his juju/seer stuff but somehow he made a come back to write about Amin and what happened after his overthrow in 1979. I was tempted to ask: how old was Mr. Kalyegira in 1979? We know he was in Entebbe. And yes, Mr Onyango-Obbo is right on. I sense how the sections of the opposition get excited with stuff such as that by Mr Kalyegira. If that is what they are hoping to excite the country in their favour, God save Uganda. I have argued elsewhere that Uganda’s problem is that the country does not have a person of gravitas in the position as was the case in Kenya where they had Mr Kibaki, the late Jaramogi Oginga, the late Wamalwa Kijana, Mr Matiba, Mr Rubia and another layer of young Turks, Mr Muite, Mr Raila, Mr Kiraitu Murungi, Martha Njoka (nee Karua) and outspoken lawyers like Dr Gibson Kamau Kuria, Dr John Khaminwa etc. We really do not have any opposition figure with gravitas. I guess that is why Mr Kalyegira is apparently a big hitter! But let me tell Mr Onyango-Obbo to stop the conspiracy against Ugandan readers. Any promising talent at the Monitor is either moved to Nairobi or Dar. Ugandan readers too deserve good journalists. I bet you the stuff Mr Kalyegira is writing would NEVER EVER make it in the Daily Nation. The Standard yes, but not the Daily nation. So why the conspiracy against Ugandans readers? What did they do to deserve such mediocrity in their Newspapers? On the link below is Mwenda Andrew’s resignation letter from the Daily Monitor but i want to draw your attention to the last paragraph:”As for me, I can never betray the cause of liberty. Liberty is an ideal for which I am willing to live for, work for to see strengthened and if needs be, it is an ideal for which I am prepared to die”. Mwenda should have attributed that last paragraph to Nelson Mandela. That was Madiba’s declaration at his sentencing before he was shipped to Roben island.That quote was straight from Nelson Mandela’s sentencing defiance. We read it in high school (the great Mbale SS) and, I believe, it’s still taught in some form in secondary schools today. But what exactly happened to Andrew Mwenda? If NTV hired Andrew Mwenda, then what’s their agenda? Have you guys watched Andrew Mwenda on NTV recently? He is doing PR for the Museveni and Kagame on the TV but what I don’t understand is why should NTV pay him for something he’s already paid for? Double payment for spin! If NTV hired him, then what’s their agenda? Accomplices in crowd manipulation maybe? He talks museveni and kagame in the whole program. Authoritatively I will tell you that Mwenda was appointed a special envoy by President Kagame during the M23 talks in Munyonyo. My inner being strongly feels against his presence on NTV between news anchoring; like he is there to pronounce some false prophesies and predictions to viewers! I think he is saying nothing at all but noise! His analysis lacks objectivity. What is happening now we are witnessing the death of Mwenda and now he joins his colleague Teddy Ssezi Cheeye. The issue Mwenda raised recently was that there is no Muhoozi project in 2016 and that may be Janet would make a strong candidate if president Museveni is not standing. Reading between the lines-the main purpose of the discussion is to introduce a certain chapter (expecting the worst) to Ugandans’ minds and thereby create debate and as we speak now; either of them Janet M7& Muhoozi have a place in people’s minds as potential presidents of Uganda. It is a form mind corruption and that’s why it’s referred to as manipulation. That’s why I don’t trust Gen.Sejusa too because he also indirectly introduced almost a similar debate among Ugandans and now the whole thing looks real. If someone can in all good conscience even think of proposing Mrs Museveni as a presidential successor to her husband, that person has got to have some ulterior motive. It is an insult on more levels than one to the people of Ugandan to even bring the issue up for debate in any forum least of all by someone who credits himself as a thinker and loves to rubbish the rest of Ugandans as non thinkers!!! With all respect to the good lady, Mwenda’s suggestion that she could be suitable material to lead Uganda reeks of mercenary behaviour! Better still those who loved and read Mwenda in the past really need to set a date for a funeral, and drink and dance to the memory of a young man who once had a brain to match his motor mouth! Now he has the motor mouth!!! For starters what happened to democracy and constitutionalism? I thought that the Vice President, the Speaker and the Chief Justice, were at the top of that queue or doesn’t our constitution matter? Maybe am missing something in my pedestrian Ugandan thinking but are Janet Museveni and Muhoozi Museveni anywhere in that queue? Why are we talking about them at all except for the fact that they carry a Museveni name? So, in short M7 bought airtime from a media house he considers hostile to him to be praised by a former employee of the same media house who used to bash him but now full of praises for the same M7. We have got a Smart, smart president and to dislodge him, it’s going to be so difficult. M7 set a wrong precedent- if you want to be his friend, first abuse him 100 times in public to get his attention. I recall the voices of Kashillingi, Fox Odoi, Omar, the likes of Owori.etc as u know the list is endless. The only person who joined NRM top cream without first resorting to that course of Action is Hon. Frank Tumwebaze who joined cabinet at a time when all the young MPs had turned their guns onto their authorities. Frank was the only sweet voice among the young MPs. Remember there was also a complaint of cabinet being stuffed with an old useless line up. That the Ugandan army is not corrupt because there is no serious debate about it on Facebook is a shallow analysis of corruption in the Ugandan army Andrew Mwenda. We all must agree that Mwenda is a very cunning fellow who researches widely in a Ugandan society where the quest for knowledge/information is at its lowest. He therefore uses his wide knowledge to twist facts and intimidate/bully many of those who pay attention to him. To counter him therefore one has to be courageous and informed. There are times when he talks like some well learned intellectual, only to spoil it with a tone of rubbish claims. As a private businessman, Mwenda knows his magazine can be closed permanently, just like they did temporarily to his Independent, and more recently the Monitor and RP. After all his leading advertisers are Sudhir (highly connected to State House) and Kagame (a prodigal son pushing the EA project). I think the fear of poverty, made him fall for the Guerrilla’s carrot and stick negotiation tactics. His flamboyance could not permit him to endure economic hardships that had knocked on his doors, when the independent was closed off. I have always told my friends that whenever people join the ruling party, they stop reasoning and thinking and it is the party that thinks and reason for them. Mwenda should stop confusing people, what i am so sure of is that he is a state machinery trying to confuse Ugandans with his unfounded analysis of the First family. I think NTV need to rethink their position on Mwenda’s analysis on news night. Ugandans have lost hope in this guy called Mwenda and we would not want to lose hope on NTV because of Mwenda. Mwenda’s analysis is always leaning to the first family. If you were to put the Mwenda who worked for the Monitor in the same room as the Mwenda today, neither of them would leave the room alive! The old Mwenda had nothing to lose. He only had the conviction of his thoughts and the power of his pen. The current Mwenda is a part of the furniture! When the ship goes down, he goes down. He is interested in maintaining the status quo of which he owns a fair sized slice. IS THE DAILY MONITOR STILL INDEPENDENT AFTER THE JUNE CLOSURE?